Babies need all the help they can get to protect them and help them grow. 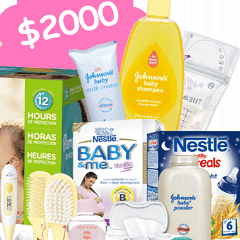 Why not enter this competition to win $2000 worth of baby products, including lotions, bottles, baby food and more! To enter simply click "CLAIM OFFER" and fill in your details.